We do all types of Road Maintenance and Repair, Including annual repair contracts. Have you ever driven down Salmon Banks on South Beach? The first thing you will notice driving down it is how the Jarring ride and having to dodge potholes distracting you from the amazing views. If you compare that to Daniel Lane, a Road that we have built, and kept maintained. The Difference is Night and Day. The Road surface is nice and smooth, Not Wavy and Jarring. That's Egglake Quality. We are fortunate enough to employ some of the best when it comes to Rood Construction as well as having access to Egg Lake Blue Rock. 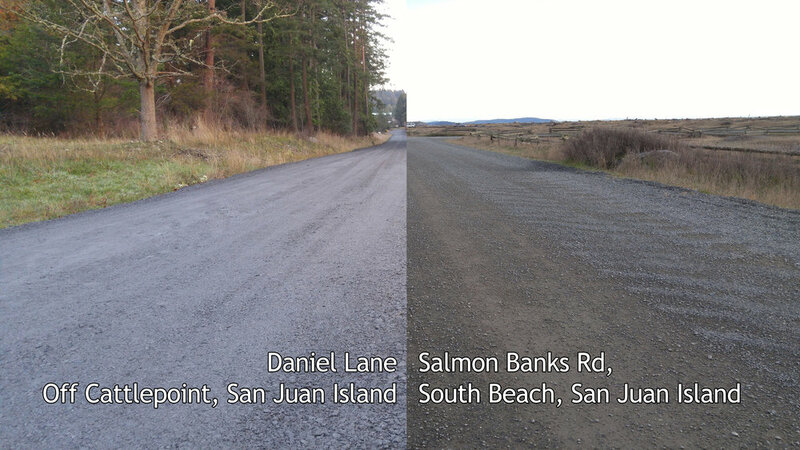 The Combination of the two forces makes some of the best roads on all of The San Juan Islands. We have years of experience and let us use our Proven formula to make you a road that will Last for years and years to come. No-one likes a Pot-Hole, or the jarring motion that your car does when it encounters the pothole. Thankfully we can repair your road to where you cant even tell where the pot hole use to be. Then you will be able to drive down your road and enjoy the smooth ride. If this is a Service that you need please fill out the form below. We have Egglake blue, Years of Experience, the Attention to detail and all the Equipment needed to do the Job correctly. This lets us take great pride in the roads that we do. We often hear that people cant believe their road is not asphalt. 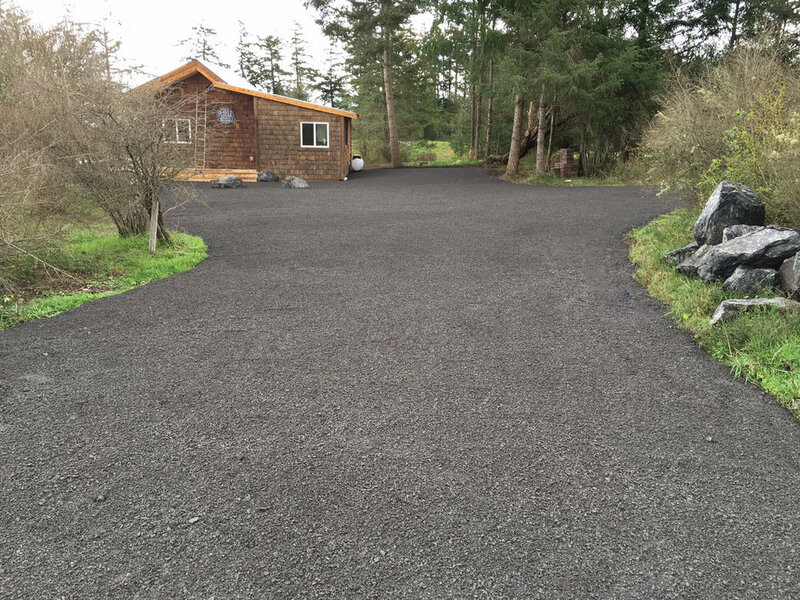 The Quality of our work is one reason we currently do work on about half of the roads on San Juan Island. Check out our Portfolio of Roads to see some of our Work. Do you or your fellow home owners want to have your road maintained so you have one less thing to worry about. We offer Road Repair Contracts and multiple of your neighbors already have them set up with us. We will be more then happy to help you set up a Road repair contract for us to fix your road year after year.